When disasters strike, Hughes remains committed to supporting long term recovery efforts. 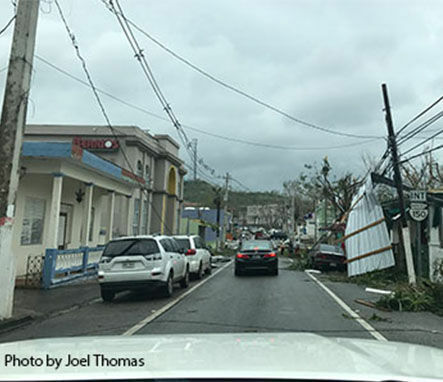 On Wednesday, September 20, 2017, Hurricane Maria, a category 4 storm with winds over 150 mph, began thrashing the island of Puerto Rico, the United States Virgin Islands and several others islands in and around the Caribbean. It was the third major storm to strike the region in a matter of weeks, following in the paths of Hurricane’s Harvey and Irma, which brought flooding and devastation to Texas and Florida, respectively. 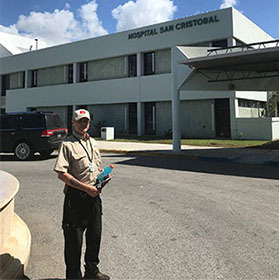 In Puerto Rico, Hurricane Maria decimated the island’s infrastructure: leveling homes, buildings, bridges and dams; taking down 2,400 miles of transmission lines and leaving over 3 million residents, businesses, hospitals, schools and other institutions without power, and depriving over half of the population of access to clean water. As the people, businesses and government agencies started down the path of recovery, one critical ingredient was inaccessible: communications. 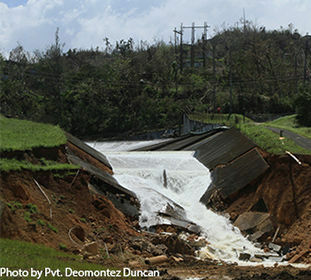 With heavy architectural damage everywhere and no power, The San Juan Airport (SJU) was down. The ports were inoperable. First response groups faced a major first challenge – where to start? 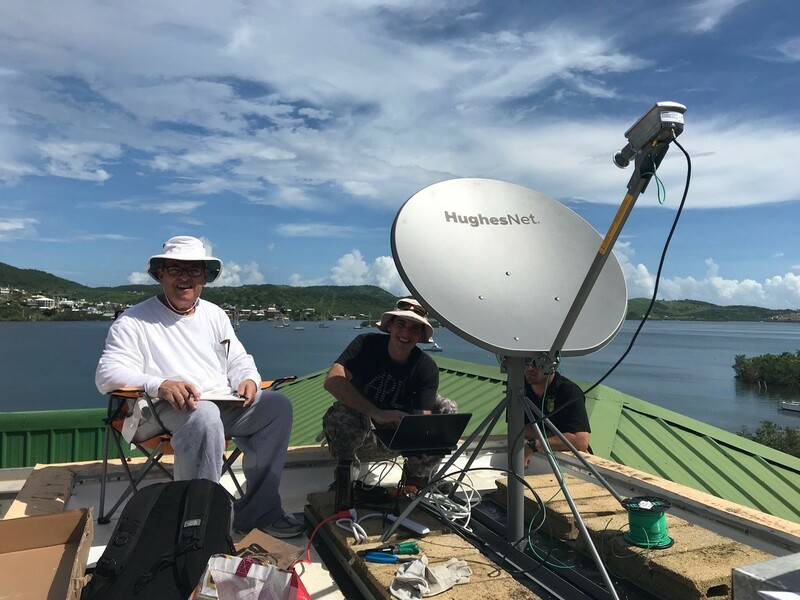 As first response teams re-established critical infrastructure functionality, Hughes became heavily involved in re-establishing critical communications on these islands by leveraging the ubiquitous availability and resiliency of satellite communications. Here you will find the stories that Hughes and its partners encountered while supporting the heroic recovery efforts of militaries, first response agencies, organizations and volunteers. 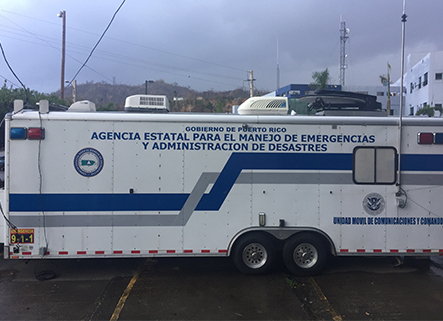 As Puerto Rico and other areas embark on their long road to recovery, Hughes remains committed to assisting the people and organizations in restoring connectivity and re-establishing their voice to the outside world. Ivelisse Pagan Matos is the general manager of Today’s Satellite Television PR & USVI in San German, Puerto Rico. A citizen and resident of Puerto Rico, she offers a glimpse into the positive mindset of Puerto Ricans as they begin to rebuild the island following the wide-scale destruction inflicted by Hurricane Maria.